Master mindful marketing and the world is your oyster! Not only will you become an entrepreneur of higher consciousness but you will attract today’s conscious influencers who can collaborate with you. At this day and age, professionals deal with tons of e-mails and are often overloaded with information. This is particularly true for marketers who have to learn new platforms such as Snapchat, Instagram and Pinterest every now and then. Most people hire digital marketing for small businesses to help them, but aside from doing everything a marketer does, they also need to come up with a social media strategy and analyze large volumes of data. The pressure can be intense so there is the need to study the different aspects of mindful marketing and mindful selling to foster a fruitful future. Over the years, the Western world has embraced yoga, Buddhism, and meditation. This isn’t religion for corporate professionals, but a means to train their minds and stay focused. Marketers have to choose between being proactive and strategic to being reactive to external stimuli. This is the reason why you can find a lot of mindfulness movements in companies like LinkedIn, Google, Target, and General Mills. A conscious entrepreneur can easily spot an order taker. An order taker is a person who only focuses on fixing yesterday’s problems and the issues he or she would face from the inbox today. With mindful marketing, it becomes necessary to ask the important questions. Mindfulness and business come hand in hand. It is mindfulness in business that takes an entrepreneur to places. Conscious entrepreneurs engage in mindfulness programs for business that bring in priceless mindfulness business benefits which can help the company prosper even more. 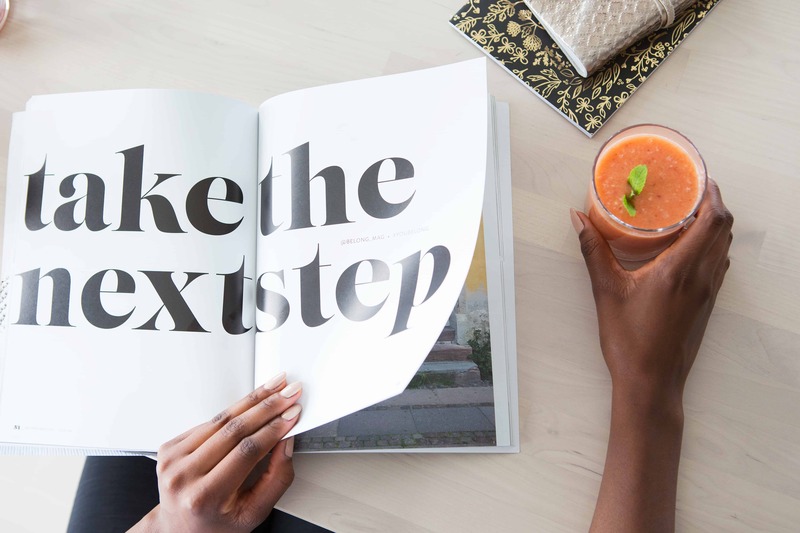 As a conscious entrepreneur running a mindful company, you should always ask yourself what is next, or how can you do things in a different, much better way. In most cases, changing people’s expectations is far beyond our control, as well as the amount of e-mails we receive and the resources needed to achieve our goals. What we are allowed to control are our reactions. There are many ways for us to stay, pause, prioritize, center ourselves, and find wisdom in one’s circumstances. All these make up what is known as genuine competitive advantage. This particular mindset is more powerful than sales automation, and highly competitive marketing strategies and tools. How to achieve a sustainable competitive advantage and increase clarity of thought? In order to achieve mindfulness in business, a person should learn how to prioritize things and find wisdom in the most challenging situations. Implementing mindful marketing means developing a focused mindset and genuine competitive advantage to savor the benefits of mindfulness in business. Remember to avoid and resist the dangerous and almost natural impulse to multitask. Studies have shown that some women’s IQ levels dropped by 5 points upon multitasking, while men’s dropped by 15 points. For an increase in clarity of thought, Lisa Nirell, the author of The Mindful Marketer: How to Stay Present and Profitable in a Data-Driven World, suggests engaging in a lot of relaxing activities like nature walks, Tai Chi and meditation. People who often ignore such learning opportunities remain on the “order taker” category. They stay stressed and overworked. Lisa Nirell recommends joining or creating a community composed of kindred spirits. This enables you to communicate face to face with different people, allowing you to share confidential and strategic information. It is through such live get-togethers that our compassion and empathy can be enhanced. Eventually, since you are exposed in a lot of positive circumstances, you will also be able to savor mindfulness in the corporate world. The mission and vision for your business should be clear even from the start. You have to make a stand on your company’s offerings and beliefs, and know how all of these can help make others’ lives better. Having an effective mindful marketing strategy means contributing to the welfare of your customers. It is important for you to be realistic in the amount of time you are willing to spend at work. Time blocking all your marketing activities will help you get things done. Be aware of where you spend most of your time in. This will help you avoid burnout, and you won’t easily feel exhausted or feel like your efforts are deliberately wasted. An entrepreneur who has excellent mindful selling skills never forgets to come up with innovative mindful marketing and success plans. When your job performances start going downhill, take a break. That will be the best time to go out for a walk, to eat something delicious, to meditate for a few minutes, or to get a relaxing massage. Take care of yourself to gain enough energy to work on mindful marketing approaches. Your mindfulness and business acumen can surely bring a vibrant and resilient message to other people. This is a secret of Influencer’s successes! Hanging out in every social media platform should be part of every mindful marketing approach. It is also important for you to be consistent in your marketing efforts, so make sure you spend more than 10 percent of your time on popular social websites. There is always the right time for you to take things slow. This means that you need to show up to your tribe and offer value without thinking more about money. Professionals often do business with people whom they know, like and trust. Maintaining good relationships is linked heavily with mindfulness and business. Bear in mind that loyalty and intention will certainly pay off since you will be on the top of their minds when they happen to need any of your products or services. Engage in mindful marketing to fully reap the priceless benefits of mindfulness in business. 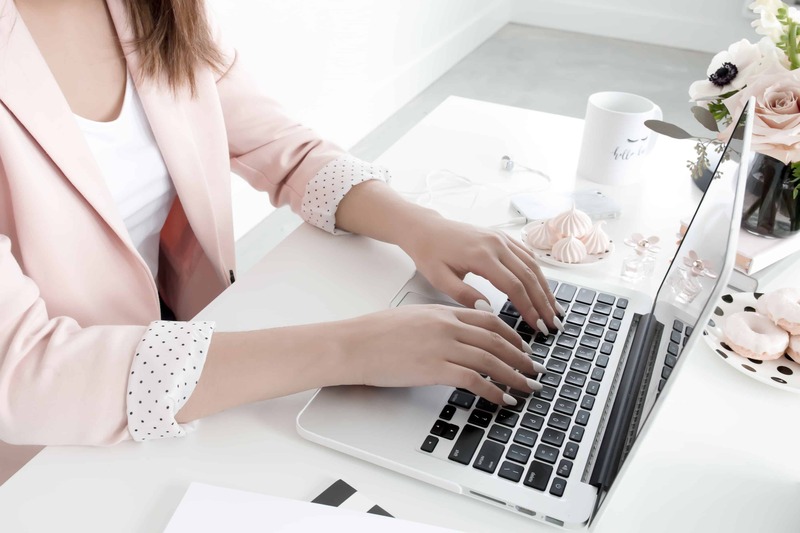 For you to have a strong marketing strategy, you need to curate your marketing plan—the content and the brand itself which is required for you to connect with all your potential clients. All these can be done through the use of mindful marketing. You have to make sure that all marketing-related efforts are intentionally done and that they are made to enhance your overall brand. Mindful marketing has the following distinct concepts that can help you in various ways. It is intentional and not habitual. Efficient mindful marketing solves not just the symptoms but also the problems. It involves not only the shareholders, but also the stakeholders who are affected. Mindfulness in businesses embraces all disagreements and varying perspectives. With mindful marketing, the individual and collective emotional intelligence are used instead of merely the rational mind. Why should you engage in Mindful Marketing? 1. Mindful marketing can help serve your clients in a manner that can warrant a lasting impact on every person involved. Remember that when you are mindful of the marketing initiatives, activities and messages, you become truly present in the whole process of building your empire. You can also run many mindfulness programs for your business that can benefit a lot of people. 2. Through the practice of mindful marketing, the marketing efforts of a company are humanized. Marketing also becomes values centered. If you spend time thinking about the words and the methods that you use, you’re likely to connect through the use of messaging. These messages can be win-win solutions, since you can persuade potential clients to resonate with the company’s values. This proves that mindfulness in the corporate world can give you happy customers, which in turn can give you positive online reviews. 3. Mindful marketing is centered on humans and values instead on products and consumers. Before, marketing was all about having people buy your own products or ideas and making them choose your service. In 2018, the trend has changed to that of looking for solutions. Today is all about solving a specific problem. It simply means that marketing has gone from being the one that stands out to that of taking into account the shape that the person requires. How to incorporate mindfulness in business marketing initiatives? Simple practices can be done to incorporate mindfulness in business marketing initiatives, particularly in social media marketing. 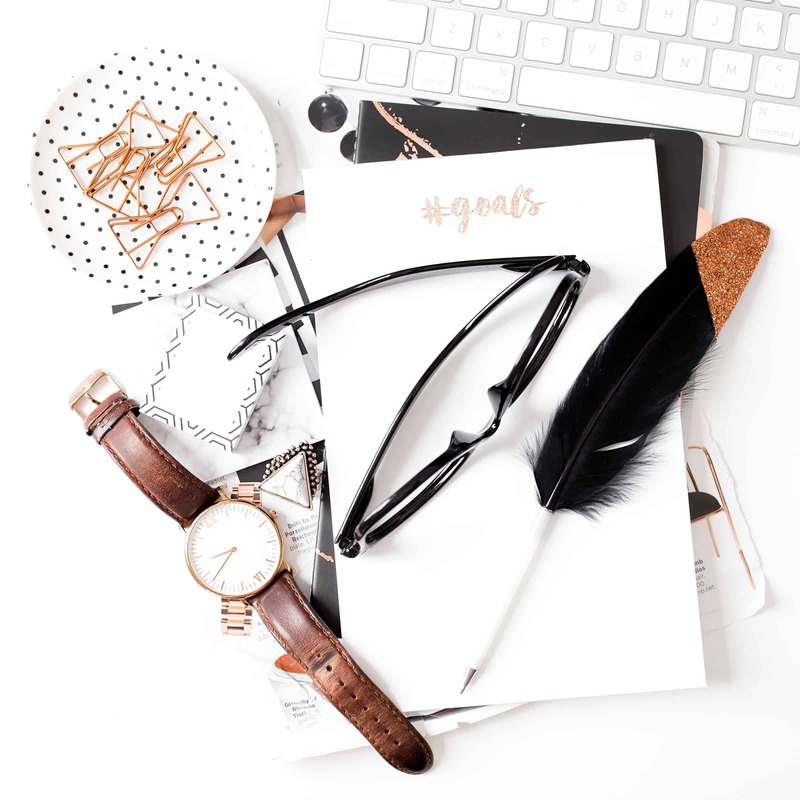 It is important for you to pause and ask yourself what you are about to post, publish or say in line with all the clients that you would like to attract. Avoid buzzwords. You have to put yourself in the shoes of your possible clients. You have to find out what factors would make them work with you instead of your competitors. Think about all the possible questions that they might ask you to answer before they even call your company. In mindful marketing, you need to let go of your ego. You can simply build up your messaging to match with the needs of your consumers. Be a good observer. When meeting new clients, it is important to ask what made them choose you over the others. There are multiple ways for you to become intentional in your marketing efforts. This may range from learning Google Analytics to writing a new blog post from time to time. It doesn’t matter how you like to integrate mindful marketing into your efforts. You just need to think about how it can help in the growth of your own business. 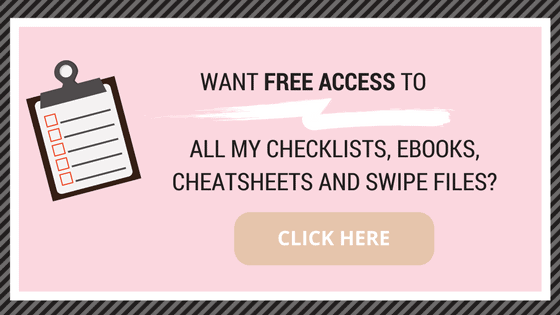 Get access to “Understanding Mindful Marketing Cheatsheet” by joining our Free Resource Library, just CLICK BELOW! A conscious business is a professional organization composed of people who are fully aware of their impact to the organization, the community and the environment. These are people who know their strengths and weaknesses very well. They engage in mindful marketing, and are ready to do business in a truly engaging manner. This type of organization requires a leader who does not exercise control and who does not dominate in achieving a goal. These should be leaders who are in full service to the people, customers and the entire community. They give clarity, direction, and personal and professional growth. Most importantly, it is their goal to inspire. Then, at the end of the day, they reap all the benefits of mindfulness in their business. Do you want to run your own conscious business? A conscious business and a mindful company inspire their employees, investors and customers. They engage with them all on a much deeper level. These businesses often have enhanced efficiency because they have an empowered, loyal and persevering workforce. If you want to run your own conscious business, make the world a much better place to live in. They said that the only way to create a conscious business is to be conscious yourself. With the right mindful marketing approach, you can transform your company into a conscious and mindful one. Want to put up your own mindful business in no time? Take note of the following! It should cause no harm to other people or the environment. It should be kind and fair in treating customers, clients, partners and associates. A conscious business treats everyone with respect. There is a vision and mission that gets beyond profits and material gains. It aims to give back to the community it belongs in. The old leadership scheme of dominance and subservience is no longer working. Organizations are more into inspiring their employees for them to reach their highest performances. They find it more effective than controlling or pushing them. There is no definitive guide on raising consciousness, but once you have gathered your ideas and visions, you are well on your way. It is a big deal to determine our purpose in life and to live it well. All throughout our lives we have various experiences and we develop an in-depth intuition regarding where we are at our best. What you may actually do may not be the same as what you expected. Once you feel that what you are doing is an answer to a calling, then it means that you have consciously chosen your own path. This simply means taking responsibility for all your choices, consequences and situations. It used to be a bitter medicine but it made way for the go-getter attitude today. This entails getting to know ourselves well, our purpose, and our limits so that we can show up with full integrity and in a consistent manner. You have to trust that the world will strike a balance for you. This means that you are recognizing something that you are good at. You would always want to share it to the world. An example of this is to start a mindful company in an area where you are good at. This is another level of consciousness. Every person has his or her own unique journey. The following are some of the things that you need to be mindful of. Every person is born creative. All you have to do is to tap into that creative energy inside you for you to be aware of your own identity. Just make sure that you can spend 30 minutes every week doing something creative such as drawing, painting, sketching, playing music or any other activity. Simply do whatever it is you like to keep that creative juice flowing. There is such a thing called conscious breathing. This is a great means to tune in towards your body, making yourself aware of your own emotional, spiritual, and mental state. When starting the day and before bedtime, take 5 to 10 long breaths. This helps you to feel grounded and centered. This is the fastest and easiest way to raise your level of consciousness. Gratitude is the best way to tap into that joyful feeling which in turn helps you to stay in tune at the present moment. At the end of every day, you have to come up with 7 things that you are grateful for. It can be the simplest sunrise or something which is more complicated. Just integrate these 3 into your daily routine to be able to make a difference and gain higher consciousness. 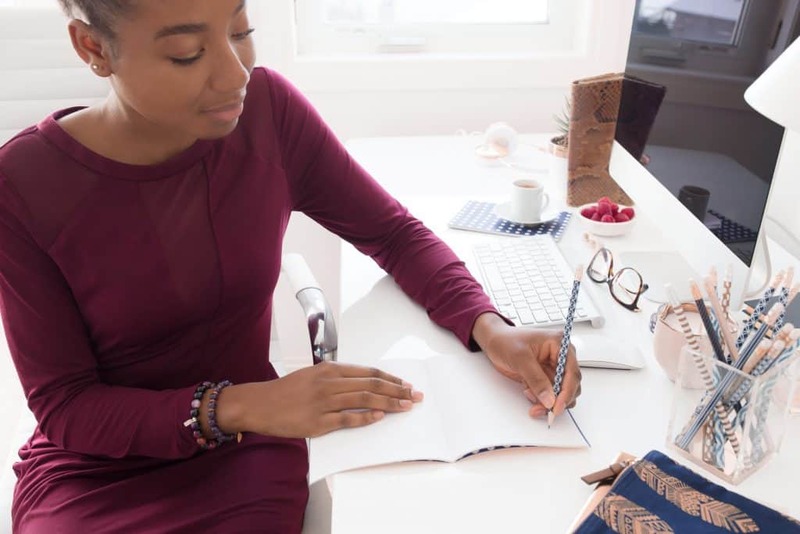 Once you have accomplished these, you will be able to realize a lot of mindfulness business benefits, and eventually, have a fulfilling entrepreneurial journey. Remember that it is not possible for you to become a conscious entrepreneur without being a conscious person yourself. 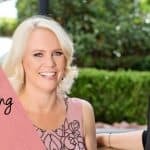 Engaging in mindful marketing will not only help you with authentic branding strategies–it will make you one of the most relaxed entrepreneurs around! Too busy or stressed out? Here are 9 other ways to reduce stress! Always make a positive impact! An entrepreneur of higher consciousness is always concerned about people and the planet in all areas of business. This means that your mindful marketing approach, your products and even you yourself touch people’s lives, change others’ behaviors and create movements. It enables people to become more aware of their responsibility to the entire world. Ethical business activities and offerings are way beyond dealing with the core. They lead to more ways in conducting a business on a daily basis. This results to having a positive impact on communities, customers, employees, partners, suppliers and the environment. There will be value application on all levels of the business venture. Let your business make a positive impact in the industry. Pin this mindful marketing guide now and make a better strategy! WHICH OF THESE MINDFUL MARKETING TIPS ARE THE MOST HELPFUL FOR YOU? WHAT IS A FAVORITE TIP OF YOURS WE DID NOT INCLUDE? PLEASE SHARE IN THE COMMENTS BELOW. this a very good blog for this blog was so interesting. I learned so much. love learning from posts. This is an inspiring and very well thought out collection of articles. Note that I am referring to the content on this site as “articles” instead of “posts”. I have a background of Business Development and Marketing for Global Fortune 100 Corporations. Thus I am a snob, somewhat, in regards to so much of the “blogging” that is out there. So many blog posts are a sad paragraph…. Anyhoo, I wanted to take the time to thank you for the copious amount of work that went into your site. 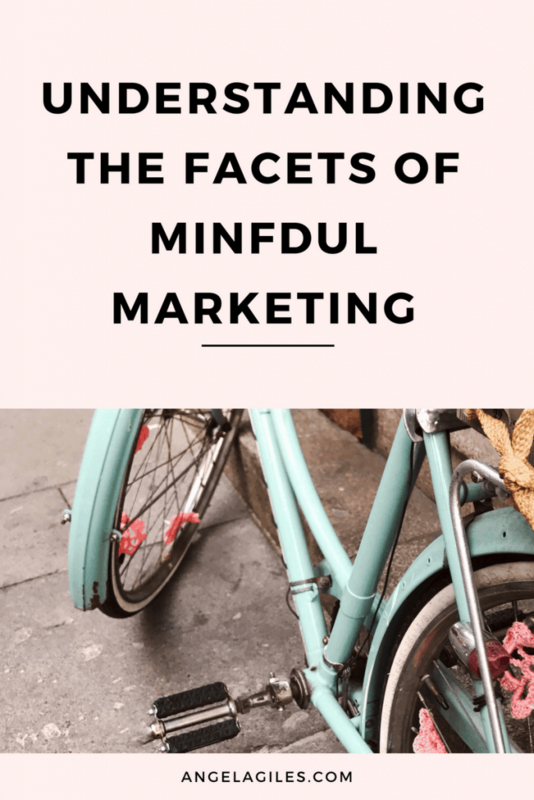 Secondly I had to let you know that there’s a typo on this article “Understanding the Different Facets of Mindful Marketing”. Your graphics say “Minfdul”. Only the best of intentions in passing this on. I can’t count the typos I’ve corrected in my own writing! I really look forward to seeing what’s next for you and your team.